In case you have not heard, the starting quarterback of the Ohio State Buckeyes football team is a finalist for a trophy. Be sure to follow Dan Hope for updates from the large apple. Gene Smith hopes to hire Urban Meyer for a new job within Ohio State's athletic department with a number of different responsibilities. Dwayne Haskins expected Urban Meyer to retire sooner than later. Big Ten Championship Game snap counts. Dwayne Haskins named PFF's Big Ten Player of the Year. Word of the Day: Supernumerary. THE CASE FOR DWAYNE. I don't mean to spoil the fun, and you should all tune in to the ceremony anyway, but Dwayne Haskins ain't lifting the Heisman Trophy tonight – but that doesn't mean he shouldn't. Haskins is basically locked into third place at this point and honestly seems like an afterthought, but there's a legitimate argument that he should win it, or at least be squarely in the conversation. “He’s having a historically great season in the Big Ten, perhaps the best season in Big Ten history from a quarterback. 51 total touchdowns – tied with Kyler Murray – that’s a Big Ten record. 47 touchdown passes – that’s a Big Ten record. 4,580 yards – that’s a big ten record. And he did it for an Ohio State team that didn’t block all that well throughout the course of the season, kind of forgot how to run the football occasionally, went through all the turmoil leading into the season with Urban Meyer … Dwayne Haskins was kind of the stabilizing force through all of that. I guess my beef isn't necessarily that Haskins should win it, because I think Kyler Murray and Tua Tagovailoa are both extremely deserving, but that this shouldn't just be seen as a two-man race. And folks, I have backup on that. I think the other storyline here is how absolutely insane all three of these finalists are if the guy described above is going to finish third fairly decidedly. I guess Dwayne is just going to have to wait until next year. HAPPY TROOPSGIVING. The Buckeyes don't play today, but the troops do. As a citizen of the fine country they both defend, I am impartial. But I assure you, that game will have my unwavering and undivided attention thanks to the incredible idea to give the game its own day. One of my all-time worst #takes was initially hating Army–Navy Saturday because it effectively made the game meaningless in terms of bowls and postseason rankings, since the rankings and bowl matchups are decided the previous weekend. I was completely wrong, this is awesome. Troopsgiving allows the game to be the spectacle it deserves to be and have the audience it deserves to have, since there are no other games competing. 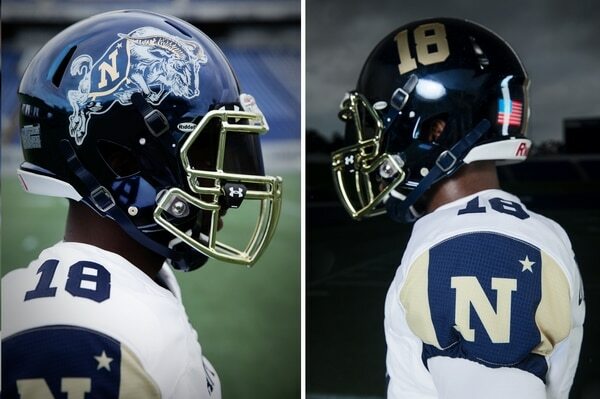 Also, they wear absolutely amazing uniforms every year, and this time is no different. On the bottom of the jersey is embroidered the famous last phrase of Navy Capt. James Lawrence, words that became an unofficial rallying cry of the sea service following his demise. 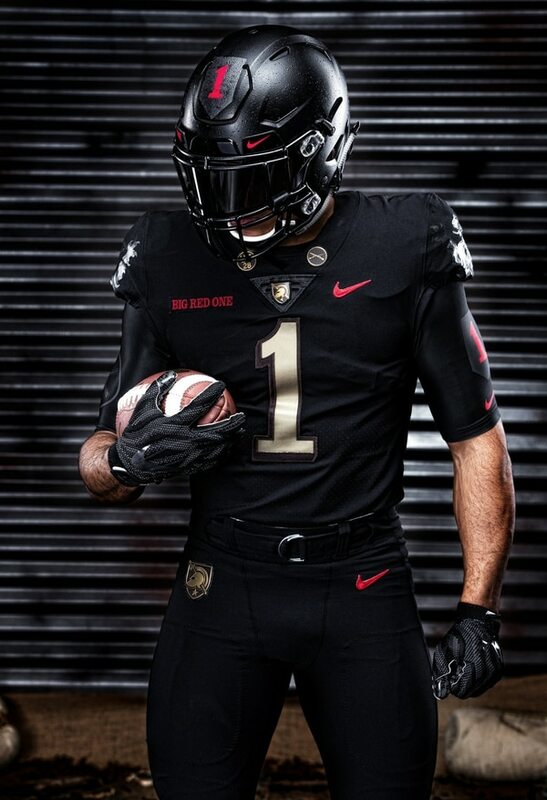 And then there's Army's glorious threads, which might be the best football uniform I've ever seen. 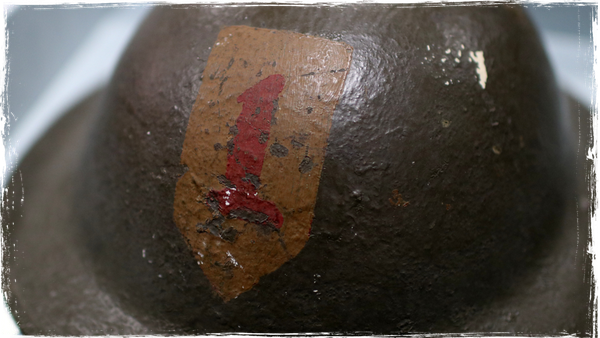 The “Big Red One," as the division came to be known due to its prominent shoulder insignia at the time, comprised more than 28,000 men from four infantry and three artillery regiments at the time of its 1917 formation, the result of President Woodrow Wilson’s promise to the Allies that a division would be sent to France. The force, which was twice the size of German divisions on the Western Front, would become the first permanent division in the Regular Army to fight in The Great War. The Big Red One also became the first division to claim an American victory in WWI, a decisive trouncing of German forces at the Battle of Cantigny, a small village north of Paris. According to BTM the Big Ten Conference will make Oklahoma & Texas their main targets for expansion for 2024/2025. Let me explain as best I can what BTM told us on Saturday night. The guy is a Minnesota writer who claims to have a source who presumably knows quite a lot about the Big Ten Conference. I can't vouch for the veracity, but if that's your sort of thing, he has a full collection of Tweets explaining how, why and when this might happen. Personally, I think this would make a ton of sense for the Big Ten, especially after reading his Tweet storm, which brought up valid points. I'm just not sold this happens. You're talking the two biggest teams in the Big XII. It's not like they're trying to heist Kansas and Baylor. They aren't leaving the other Big XII teams without some sort of battle. As a consumer, though, regular Ohio State matchups against Oklahoma and Texas sounds absolutely fantastic.